Another key feature which always fascinates me is Virtual Printing maybe because of my roots attached to printing. 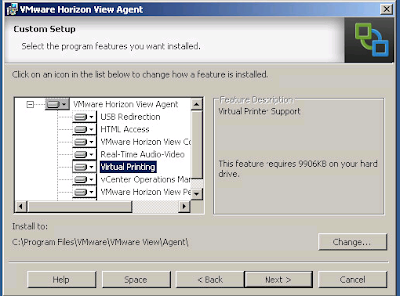 one of the feature in VMware Horizon View that provides driver free printing. Virtual Printing uses a Client Server architecture the server component is installed on desktops with the installation of View Agent and the client is installed on Horizon Client system when horizon client software is installed. Virtual Printing components on Virtual Desktop Side includes (TPOG - Printer Driver for Virtualizing Printer for Windows Hosts,TPOGPS - Printer Drivers for Virtualizing printers on Linux or Mac Hosts) and on the client system side includes (TPInVM and TPCIntRDP -Redirects .Print Server commands from the virtual desktops to client). Virtual Printing options on the virtual desktops controls the overall consumption of bandwidth and helps to convert the print data from the application to a common data format. Wherein the Virtual Printing options which are installed on Horizon Client Machine receivesthe print data decompresses/decrypt and cover the data format into the format which local printer can understand. 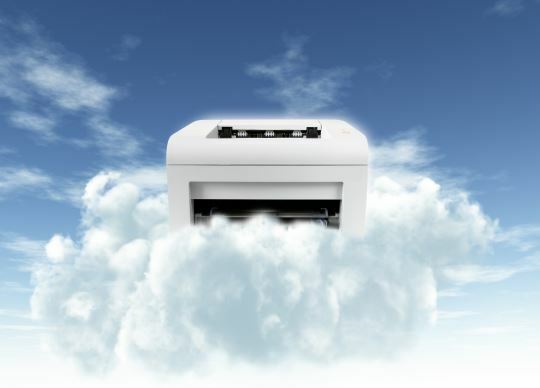 Virtual printing automatically discovers, connects and print from any virtual desktop to any local or network printer which is visible at the client. Remove all printers by entering C:\ProgramFiles\VMware\VMwareTools\TPAutoConnect –d. Stop the connection service by entering net stop TPAutoConnSvc. Once the printer is added on the local computer view adds that printer to the list of all the available printers on the View Desktop. For each printer which is available through this feature we can set preferences for print quality, colour, double side printing and other options. Virtual Printing do support both the offline and online desktops but the way the data is exchanged may vary, PC-o-IP (http://kanishksethi.blogspot.com/2015/12/pcoip-remote-display-protocol.html) or RDP channel is used for online desktops. Where in Virtual Serial Port is used for the exchange of data between an offline desktop and client machine.